The Suzuki Intruder FI model is almost Rs. 7,000 expensive than the carburetted version and sees no other mechanical or cosmetic change. 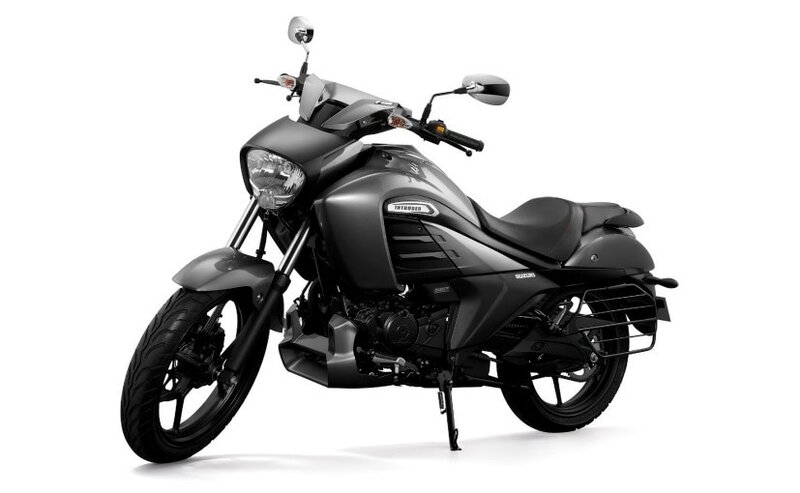 Suzuki Motorcycles India today announced the launch of the Suzuki Intruder Fuel Injection (FI) variant. Priced at ₹ 1.06 lakh (ex-showroom, Delhi), the fuel-injected Suzuki Intruder is almost ₹ 7,000 expensive than the carburetted version that is currently priced at ₹ 99,995 (ex-showroom, Delhi). It was back in November 2017 when we first told you about the company's plan to launch the fuel injected Intruder. The bike sees no other mechanical or cosmetic changed whatsoever and is continued to be offered in the existent two colour options - Metallic Oort/Metallic Matte Black No 2, and Glass Sparkle Black/Metallic Matte Titanium Silver. Commenting on the launch of new Suzuki Intruder FI, Sajeev Rajasekharan, Executive Vice President, Sales & Marketing, Suzuki Motorcycles India said, "Since its launch, the Intruder has received an overwhelming demand with close to 15000 units sold, overachieving our projected sales target by 25 per cent. With a unique blend of premium appeal, coupled with futuristic features like ABS and now an efficient Fuel Injection technology, the Intruder is a premium offering in the cruiser segment, unlike any other." The Suzuki Intruder was launched late last year in November 2017, and along with an intriguing design, the Intruder also offers a bunch of smart features. The bike is equipped with projector headlamps with LED position lights, an all-digital instrument cluster, LED taillamp, sharp twin exhaust, and twin seat setup with a bucket-style seat for the rider. It also comes with black alloy wheels, equipped with disc brakes at both ends and a single channel ABS setup for the front disc brake. The Intruder gets telescopic front forks and Swing Arm Type mono-shock suspension at the rear. The new Suzuki Intruder FI gets the same fuel injected 155 cc engine, borrowed from the Suzuki Gixxer FI. The Intruder FI gets the same Suzuki Advanced Fuel Injection Technology that is offered with the Gixxer FI. The system comes with 6 sensors that calculate the optimum amount of fuel required for better combustion, and thus provides an improved throttle response. The 154.9 cc single-cylinder, air cooled, 4-stroke engine continues to makes the same amount of power and torque - 14 bhp at 8000 rpm and 14 Nm at 6000 rpm, and comes mated to the very same 5-speed gearbox.